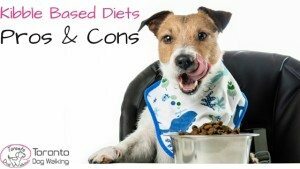 Dog Food: Kibble Vs Raw Vs Homemade Diets - What's Best for Your Dog? 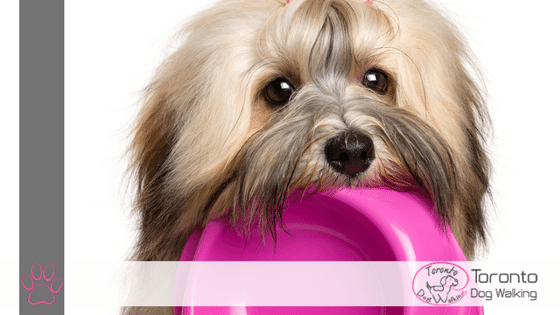 Dog Food: Kibble Vs Raw Vs Homemade Diets – What’s Best for Your Dog? The question every dog owner asks themselves. What should I feed my dog? What is the best diet for my dog? Is my dog getting enough vitamins from his food? Sometimes what you may feed your dog based off the cost of the food or it maybe because what advertising has told you what’s best for your dog. Dogs are very unique animals in that they will eat food that is not even meant for them, they are unlike other animals in this regard. In this article we break down the kibble, raw and homemade diets. For many pet owners, the choice of whether or not to feed kibble to their pets on a daily basis is a no brainer. After all, kibble is affordable, convenient, and available in every variety imaginable. However, as humans gain better insight into the effects certain foods have on the health and well-being of their dogs, many pet owners are taking a closer look at food options and weighing the pros and cons of each food type. In the following paragraphs, the advantages and disadvantages of dry food are examined. The advantages of dry food are diverse. Perhaps the best reason to feed a dog kibble is that high-quality products are a complete package that provide balanced nutrition. Dry foods are formulated to supply all the necessary proteins, carbohydrates, vitamins, fiber and minerals that a dog needs in order to thrive. Also, although this next point is debated, some veterinarians suggest that dry food is better for dental health than canned or raw foods, because the hard bits serve as abrasive cleaners that do not become stuck to teeth and gums. For the pet owner, no other type of food is as convenient as dry kibble. Kibble can be bought in bulk and stored for long periods of time, travels easily, and can double as training treats. Ultimately, after finding the food that works best for your dog, he or she can live his entire life only eating one variety of dry food, which removes much of the stress associated with preparing raw or homemade meals. The disadvantages of feeding kibble to a dog are just as prolific as the advantages. Most importantly, the quality of the dog food matters. The range of quality among brands is diverse, and pet owners should do their research before choosing a new brand. Lower-quality foods incorporate poor sources of protein, such as “chicken by-product” or “chicken meal” instead of wholesome meat. Some brands include mostly fillers, such as corn or wheat gluten, both of which can be irritating to a dog’s digestive tract. Dogs are also more likely to develop dry, itchy skin from dry food, which can be caused by any number of factors, including dehydration (kibble has less moisture than raw or canned food), allergies to soy, corn, wheat, or grains, or even reactions to the preservatives found in the food. For picky eaters, pet owners may have more difficulty finding an enticing formula, since wet and raw foods are more appealing to dogs. Perhaps one of the biggest reasons consumers have been turning away from dry food, however, is the possibility of poisoning. Within the past year, many recognizable brands such as Bravo and Blue Wilderness have issued recalls due to serious toxicity or contamination concerns. For the conscious consumer, Dog Food Advisor has compiled lists of ingredients, recall histories, and facts on every dry dog food on the market, which is a helpful resource when determining the best (and safest) dry food for your dog. As humans develop a greater awareness of the ways in which food and food quality affect health and well-being, a greater variety of pet foods are being made available. Gone are the days when one or two generic dog foods were sold. Instead, walk into any pet store and you will find aisle upon aisle of every flavor imaginable, as well as foods for any number of dietary need from dry skin and allergies to urinary tract health. Not all foods are created equally, however, and many pet food consumers have become concerned after numerous recalls in the past few years have been made due to toxic ingredients. An increasingly popular option for pet owners is to feed the raw food diet, otherwise known as BARF (bones and raw food). 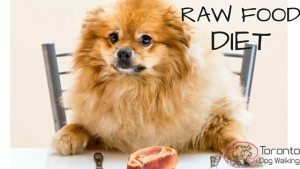 There are numerous advantages to feeding a dog the raw food diet, which consists primarily of raw, meaty bones (such as chicken necks or beef bones), as well as a smaller percentage of supplementary fruit, vegetables, eggs, yogurt, and organ meat. A primary advantage is that dogs prone to allergies particularly thrive on this diet because the majority of allergens such as soy, corn, wheat, and other grains are eliminated. Additionally, consumers have complete control over the ingredients and quality of the meat being purchased, which removes the risk of a dangerous food recall. In comparison to other food types, the raw diet can lead to improved dental health, as chewing on bones naturally cleans teeth. Finally, raw meat is among the most enticing of treats for dogs, especially those with a strong prey drive. Very few picky eaters can resist the raw food diet. Although raw foods have a number of potential benefits, the list of associated risks should be properly weighed. Among the most alarming of disadvantages is the risk of serious illness to humans. Raw meat can carry a variety of harmful bacteria such as salmonella or e.coli. Although most dogs can pass the bacteria through their digestive tracts without harm, the human that both feeds and cleans up after the raw food-eating dog is at an elevated risk for food borne illness. Besides this disadvantage, the raw food diet is extremely messy and commonly requires meals to be fed outside, in the basement, or in an easily cleaned and confined area. The price of purchasing raw foods is significantly more expensive than dry or canned options, especially for the highest quality product. Finally, multi-vitamin supplementation is often necessary with the raw foods diet. Although many people mistakenly believe that dogs can thrive on this diet because it is close to what their wolf ancestors ate, the fact is that household dogs have evolved to have different digestive tracts and stomach flora than their ancestors. High quality commercial food contains a better range of essential vitamins and minerals that dogs need for improved health, even when supplemental items such as blueberries or yogurt are added to the raw meat and bones. Ultimately, although dogs may be able to survive on this diet, their ability to thrive may be compromised. An increasing number of pet owners have resorted to cooking human-grade meals for their pets in the wake of health and safety concerns regarding commercial pet food. For many pet owners, cooking their dogs’ food is an enjoyable experience that allows complete control over food quality, budget, and allergen elimination. However, many veterinarians worry that homemade meals may leave dogs without balance in their diets. Making dog food at home can be an economical option in comparison to other high-quality diets, especially when seeking to feed a dog with special dietary needs. Meals typically consist of chicken breast, ground beef, or fish (such as cooked, de-boned salmon) with rice, sweet potato, green beans, carrots, and the occasional liver or organ meat. Dogs that are picky eaters rarely turn down a home cooked meal. If allergies are an issue, a homemade diet can eliminate any risk of cross contamination from foods that may be processed in facilities where other allergens are present. For dogs with special needs, such as poor dentition or jaw problems, homemade food may be necessary to meet the needs of these pups. When choosing to make meals from scratch for your pet, veterinarians recommend first meeting with a registered canine dietitian. The macro-nutrient needs of dogs are vastly different from humans. For instance, while a human diet should consist of roughly 40% carbohydrates, 30% protein, and 30% fat (depending on age, activity level, and individual needs), a dog’s meal should approximately consist of 15% carbohydrates, 55% protein, and 30% fat. 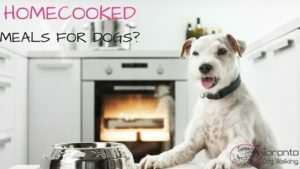 Therefore, when cooking for your dog, it can be easy to bias his or her meals towards a human’s needs and inadvertently provide an improperly balanced diet. Many canine dietitians also recommend multivitamin supplementation when providing home cooked meals, since it can be near impossible to provide the proper amounts of vitamins and minerals through whole-food sources. A second reason that veterinarians caution pet owners against cooking meals at home is because well-meaning owners can easily feed their pets toxic foods on accident. Ingredients that are healthy for humans, such as grapes, onions, avocado, garlic, certain nuts, xylitol, mushrooms, stone fruit, rhubarb, and yeast can cause serious health problems in pets. Dogs are also sensitive to fat, and too much can cause pancreatitis, which is a serious and sometimes fatal condition if left untreated. When cooking at home, fat, carbohydrate, and protein ratios in a dog’s diet must be controlled with utmost vigilance. For pet owners, cooking meals at home can be time consuming and inconvenient. Cooking a large batch of food at one time is practical, but is also limited to freezer space. Most recipes should not be stored in the refrigerator for more than 5 – 6 days before eating, and if planning to board your dog or travel with him or her for an extended period of time, meal time can quickly become cumbersome. However, pet owners who cook meals at home often report feeling a stronger bond with their pets, and enjoy the opportunity to cook for them with love. What do you currently feed your dog & why? My dog gets both kibble and homemade dog food. He likes the homemade dog food better but he will eat the kibble between meals meals.